Anti-Semites who don’t want to be identified as such often claim to be anti-Israel. Or pro-peace. Or pro-Palestinian. They don’t hate Jews, they argue, they hate injustice. Their hearts bleed for the Palestinians whose lands have been “occupied” by Israel (but not, oddly enough, for the Kurds whose lands have been occupied by Turkey, or the half million Syrians who’ve been murdered by President Basher Assad, or the millions suffering under radical Islamic regimes in Gaza and Iran). Does he mean all the Jews of Israel? All 6.5 million of them (45 percent of world Jewry)? Does he include the ones who risked their lives to go to the Syrian border to collect thousands of women and children wounded in the civil war there, and the doctors and medical staff who treated them? Does he include Prof. Shlomo Navarro, who invented a food technology that helps African and Asian farmers keep their grain market-fresh? And what about those Jews in Israel who’ve invented cures for cancer, pioneered breakthroughs in desalination and been the first at disaster sites around the world with field hospitals and aid? Are they all deserving of hatred, just because they live in Israel? And the former mayor of London wouldn’t consider that anti-Semitic? Livingstone is no stranger to controversy. 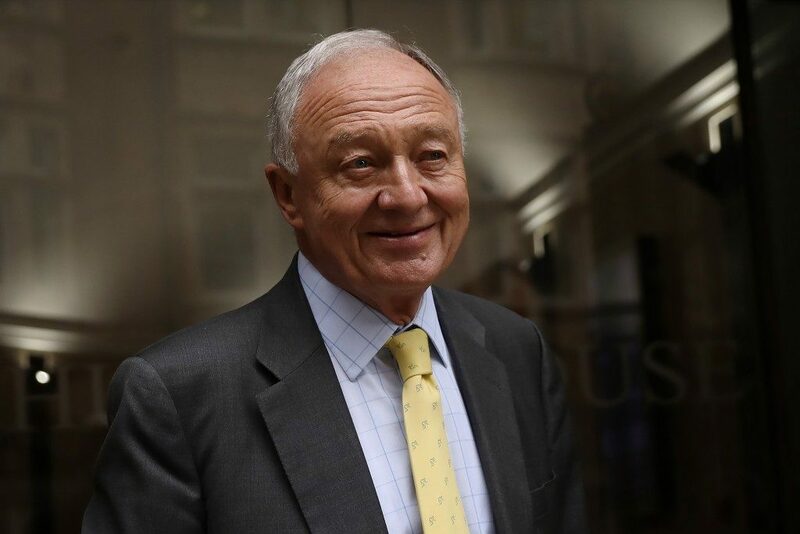 He was suspended from Britain’s Labor Party in 2016 for defending the statement of another Labor MP (the party has no shortage of anti-Semites). This one, Naz Shah, suggested that Israel should be moved to the United States. Livingston finally resigned from the party because of a disciplinary process against him for his comments that Hitler supported Zionism and that the Zionist movement collaborated with the Nazis. It’s bad enough that a once-prominent politician in Britain should make such comments publicly, obviously in the belief that he’ll have a considerable following. Making matters worse is that the leader of his party, Jeremy Corbyn, who could well be the country’s next prime minister, is of like mind. Corbyn, who attended a ceremony in Tunisia honoring the perpetrators of the 1972 Munich terror attack that killed 11 Israeli athletes, has reportedly been called an anti-Semite and a racist by a member of his own party, MP Margaret Hodge. And he’s not the only Labor MP who walked out in disgust. Luciana Berger was part of a group of nine who quit, telling a press conference that she had come to the “sickening conclusion” that the party was institutionally anti-Semitic and she was “embarrassed and ashamed” to stay. Though Corbyn occasionally apologizes for what he calls “pockets” of anti-Semitism in the party, thousands of cases of hate speech against Jews have been recorded since 2015, when he was elected to head the party. The Board of Deputies of British Jews has accused Corbyn of encouraging anti-Semitic rhetoric and at times engaging in it. The irony is that while Britain is seeing a disturbing rise in anti-Semitism, moderate Arab countries are breaking from past misconceptions regarding Israel and the Jews. The minister of state for foreign affairs for the United Arab Emirates, Anwar Gargash, admitted recently that the decision by many Arab countries not to talk to Israel had been a big mistake, adding that it had complicated finding a solution to the Palestinian issue over the decades. “Many, many years ago, when there was an Arab decision not to have contact with Israel, that was a very, very wrong decision, looking back,” Gargash told the Abu Dhabi-based daily The National. His comments came after the UAE and other Gulf states criticized President Donald Trump’s recognition of Israel’s sovereignty over the Golan Heights. Astounding. A foreign minister from the UAE can be upset with American recognition of Israeli sovereignty over Golan, and with Israeli policy, but still be open to talking to and respecting the Jewish State of Israel. But a major political party in Britain, blinded by its hatred of the Jews, is unable to do the same. The situation is cause for profound concern among Jews the world over, especially now, with the Brexit crisis raising the specter of new elections that could very well bring Labor to power. Study Shows Anti-Semitic Hate Crimes Surge in U.K.